In Plan-les-Ouates Geneva, lies an incredibly modern factory that has true passion for design and development. This factory is Frederique Constant Geneve. It is this location, where they designed, developed and manufactured the movement for our latest review… Frederique Constant Classic Manufacture FC-710MC4H6. 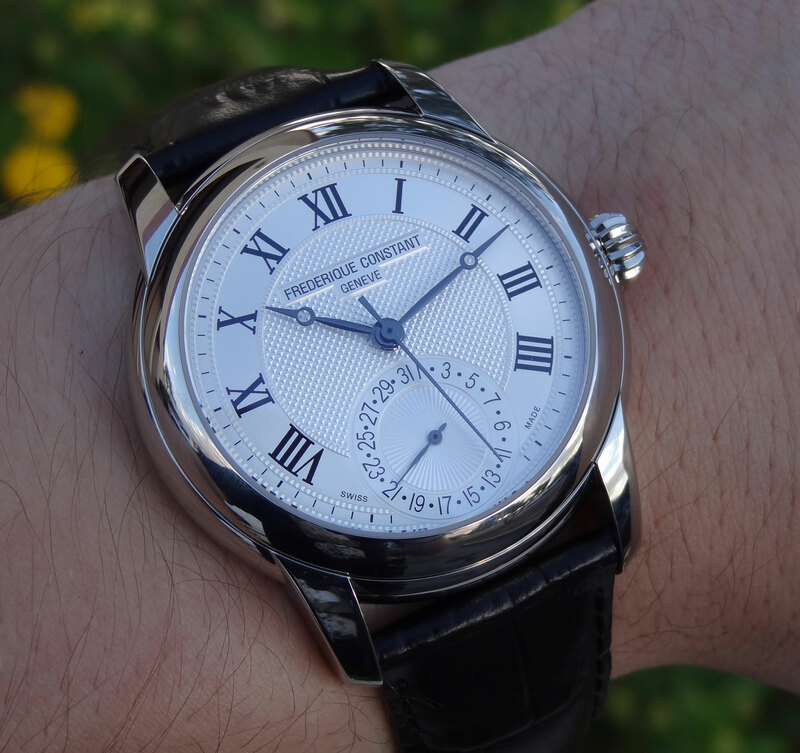 The Frederique Constant Classics Manufacture series was introduced this year in both stainless steel (as pictured) and is also available in rose gold plating. The watches design is classic (as is in the name) and bears the same traditional look that Frederique Constant has been known for, for over two decades. 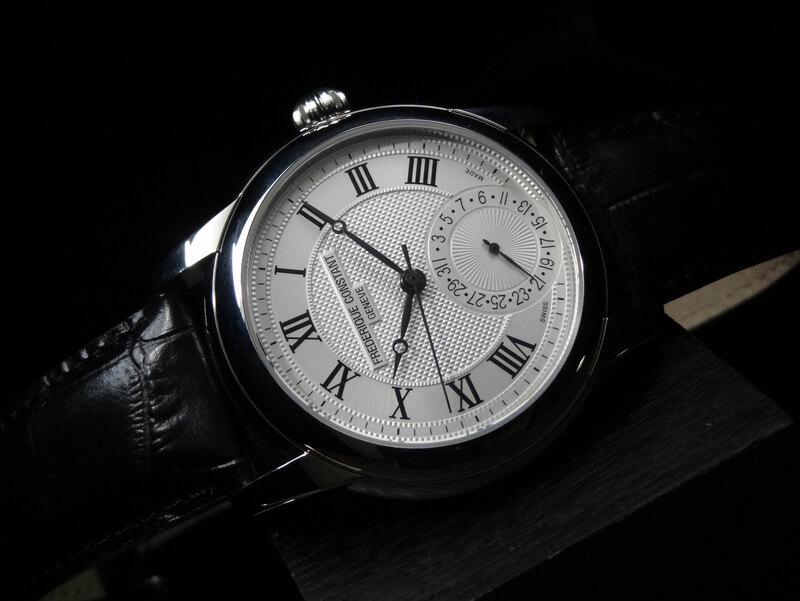 The black Roman numerals and silver guilloché dial are clean and very legible. 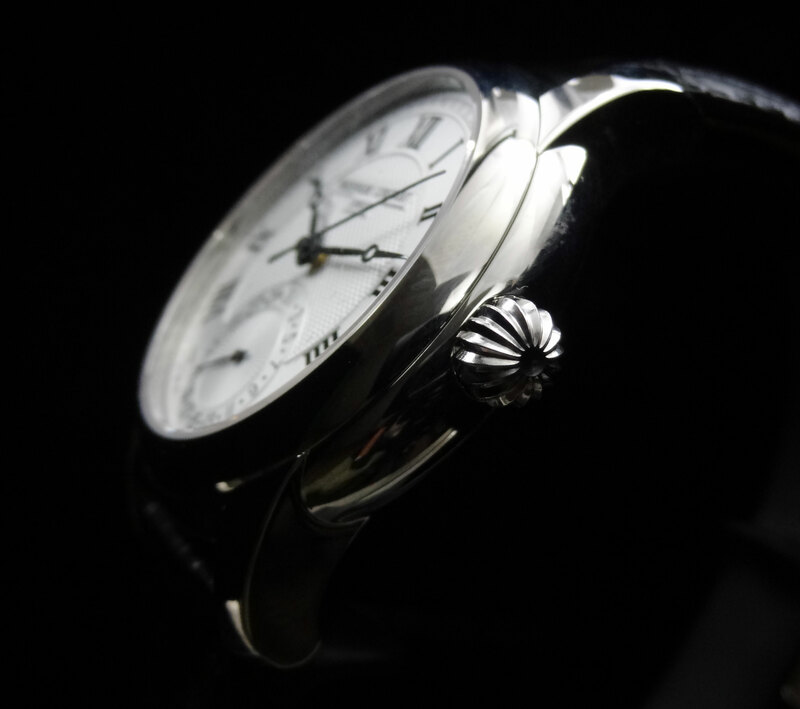 The traditional look of the watch makes for a beautiful dress piece but can certainly be worn more casually as well. The dial layout is simple but fairly unique, with 3 hands displaying hours, minutes and seconds, but also has a date wheel display at the 6 o’clock. 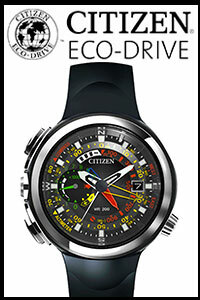 The 42mm case design is, again, very classic and traditional with a rounded bezel and case sides. Simplistic, but with an elegant high polish all throughout the case. 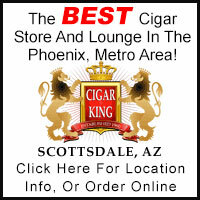 The crown has an antiqued look and is a decent size making for easy adjustment. 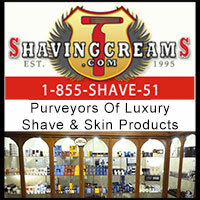 Winding is very smooth and the quality feel is definitely there. The strap is Croco-calf with a very nicely constructed push release deployment clasp. 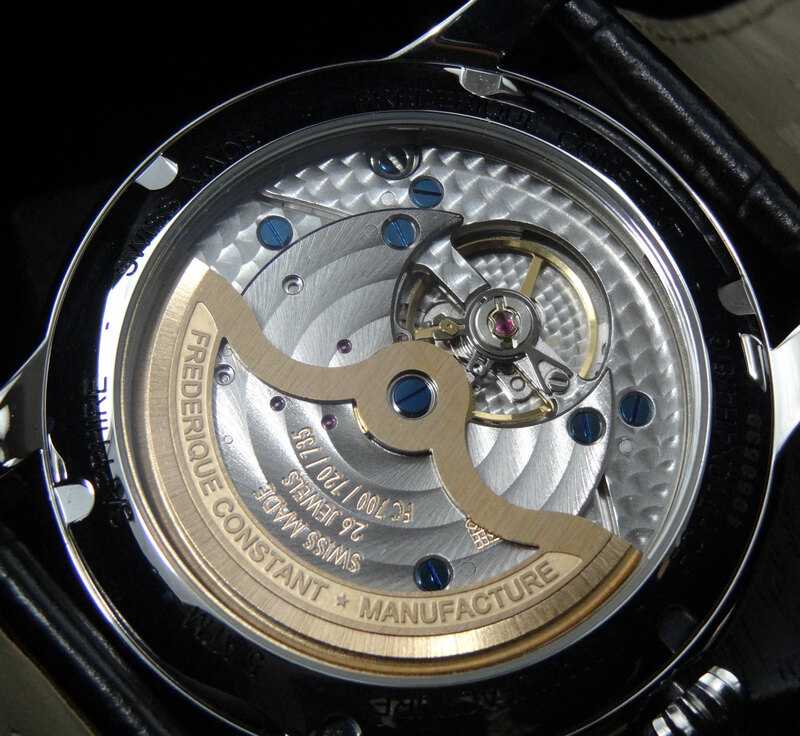 The movement is Frederique Constants in-house designed and manufactured FC-710 caliber. 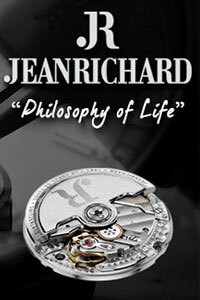 The movement has 26 jewels, 28,800 bph, and a 42 hr power reserve. The decoration is outstanding with perlage and circular Côtes de Genève covering every milimeter of the movement. The FC-710 also has a rose gold plated rotor with a large central opening exposing more of the movement. Even though the rotor has a large opening in the center, it still has substantial weight and moves fluidly. All of the FC-710 calibers are tested and rated to perform within a -5/+10 sec a day deviation. 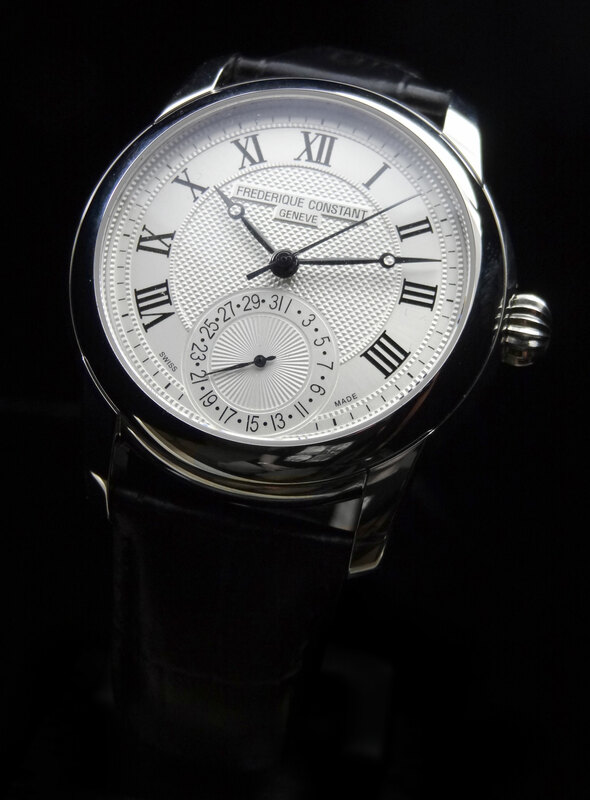 Frederique Constant has been manufacturing their own in-house movements, only since 2001. The quality of their movements, however, is far above par and retailing for only $2,250, achievable by most any collector. The Frederqiue Constant Classic Manufacture FC-710MC4H6 is a true gem from Frederique Constant and we are proud to have them in stock here at AZ Fine Time.